A lot of you have already said you’d love a little more personal posts on the blog, which I’ve come to realize that I don’t do that anymore. When I first started out with my blog, I was a little more personal than I am now, but I think as I have gotten into school, thinking about my future business, etc., I strayed from that because I was, to be honest, scared. When you’re personal out in the open on a blog, anyone can see it. You’re vulnerable. As a young woman, that just freaked me out. 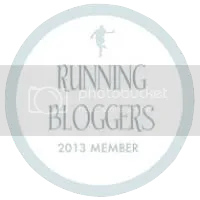 But, the community of healthy living bloggers and the full time support, I have become aware that there really isn’t a reason I should be scared. What I really wanted to blog about today was the fact that I’m jobless. Did I hesitate on this subject? Yeah…you bet. I haven’t had a job for about a month but I haven’t really said much about it. You might have seen a couple of things I tweeted, but that’s it. What I’m here to say today has nothing to do with negativity. No complaints, no discouragement, no crap. And faith doesn’t just ‘happen’. You must build it and feed it! I’ve taken this time that I have off, to completely focus on Him. He has a plan. Look, I’m not perfect and I have days where I’ve neglected Him and His Word and I still have to slow down and focus. So, while I’m being told I don’t have enough experience for a job that I know THAT I could do (I can do all things through Christ), or when someone doesn’t give me an opportunity, or somebody acts like they’ll hire me but then they don’t, I cast that over on the Lord! He shall supply all my needs and take all my burdens. I know He has a plan far greater than I could imagine! So, to my feelings and emotions, that picture above looks like it describes a lot of what I’m going through with job searching…but in my spirit and feeding it the Word of God, that picture HAS NOTHING to do with me. God made me a promise and He is the truth, the light, and the way! I’m thankful that the only job I have right now, is reading His Word, teaching myself more SOCIAL MEDIA MARKETING, HTML & CSS skills, blogging, and throwing myself into my studies for nutrition school. God has given me some amazing skills and a passion for what I mentioned above, and its not because of me that I have them. He has put them in my heart. So, I’m not bragging. I’m just thankful. I’m also thankful for all of you guys…every blogger and reader I have come across have this wonderful touch of inspiring me and each other. I think that is quite simply, an amazing gift to have. When life gives you lemons, make lemonade…is something I could go on about and be super cliché. But that’s lame. Let’s be real here, life doesn’t give you stupid lemons and no one makes lemonade. We buy it, because who wants to squeeze lemons? Also, lemonade can make you fat (SUGAR OVERLOAD) Okay, maybe not…unless you drink it all the time. But you get what I’m saying! My life is at a crazy turning point right now, I have no idea what direction I’m headed in and since I’m trusting God to lead me, I can’t plan anything out. I’m pretty much just doing my part, looking and applying for jobs, meditating daily on His Word, asking for wisdom, and praying humbly before Him! So, at this crazy point in my life, I’m not making lemonade. I’m rejoicing! God is bigger than money. He is bigger than statistics. He is bigger than discouragement. He IS bigger. I’ve been told by many, “Audrey, its hard to get a job right now,” and yeah, okay thanks for the support (sarcasm BTW). Do you not read His words? You say you are a Christian but decide you’d rather fill me up with doubt? That is of the WORLD, but my God is not of the WORLD! HE IS OF HEAVEN, FAITH, LOVE, AND KINDNESS! God said in His Word that he will equip me with all that I need to do His will and good works. I believe he can do more than my mind can imagine. I’m ready! You might ask me, “Well, Audrey, why would God let you be unemployed?” But I say, is it because of God that I’m unemployed? Maybe…but if it were so, I know that he is righteous in all his WAYS and KIND in all HIS works! So, in my opinion, if he wanted me to not have a job right now, it’s because he wants me depend on Him, seek Him, and pray. He is a God of truth…and I need to focus on the truths He gives us in the Bible. My times are in His hands and the moment He chooses to reveal the job, career, or opportunity He wants me to have, He will. Please take note that I will never, ever, ever try to push anything on you. That’s not what this post is. This post is about how I’M DEALING with MY unemployment. I wanted to share something uplifting, personal, and encouraging on my blog. This is me right now. I’m taking off the blogger coat, stepping into ‘Audrey’ today and presenting to you my current life. Thank you for reading and hope that maybe these words could give you some light in your tunnel, if needed! Blessed going in, and blessed going out! See y’all tomorrow for a recipe! Have you ever overcome the ‘job world’? Hi, Audrey. I just found your blog today, and I don’t know if you usually talk about your faith on it, but you don’t need to apologize for your faith on account of me. It is because you talked about it that I’m going to keep reading! As somebody also new to the working world, I feel for you in your time of searching. This January, I applied to numerous chemistry job postings each week, and nobody called me. The uncertainty, coupled with the burden of paying off my last semester of college, made me pretty frustrated and sad. I had to remind myself to pray daily for my job search and, specifically, to pray that God would put me where He wanted me to be next. In the meantime, I used my college’s career center to learn resume and interview skills, and I kept on volunteering at the hospital. In February, I did get a temporary part-time job that opened the door to a full-time job for me this year. I’m a Christian, but so often I doubt that God will actually intervene in my physical reality — but He can, and He does! Stay focused on your faith as you have been doing, and try to pray daily for your job search. Maybe try a day of fasting and praying for this intention; that helped to keep me focused on God when my physical needs were pressing. Above all, keep up the good work you’re already doing! We’re cheering for you! Thanks for the hugs and the comment! Means a lot 🙂 Hugs back to you! I’m in the same place as you are. It’s been hard but like you said, God has a plan for me and it’s all through him that I am here. Thanks for the encouragement, Stacie! I’m believing and receiving!